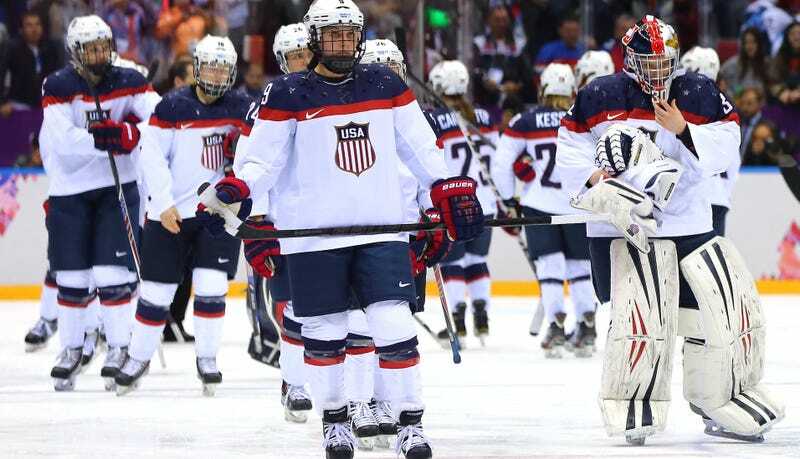 A very public weeks-long contract standoff between the U.S. women’s national hockey team and USA hockey was resolved tonight, two days before the IIHF World Championships is scheduled to begin in Plymouth, Mich. The women’s team, which said in mid-March it would boycott the World Championships if USA Hockey didn’t increase wages and support for the women’s game, will now play in the tournament, according to a joint statement from the two parties. Yesterday, 14 U.S. senators, including Sen. Elizabeth Warren, wrote a letter in support of the U.S. women’s team and called on USA Hockey to come to an equitable agreement. Though the details of the agreement itself were not disclosed, an anonymous source told ESPN some specifics. The team’s annual compensation, one key issue, will vastly improve to roughly $70,000 per player, a source who has seen the contract said. Toss in the newly negotiated performance bonuses USA Hockey agreed to pay the women for the first time ever, and the players could push their income over six figures if they win the Olympics or world championships. Before, the players were paid $1,000 a month for the six-month Olympic period and were not compensated for the rest of the four-year period, the players’ lawyers said. Over the weekend, USA Hockey tried to find replacement players to fill the team, but failed as players publicly rejected the offer.